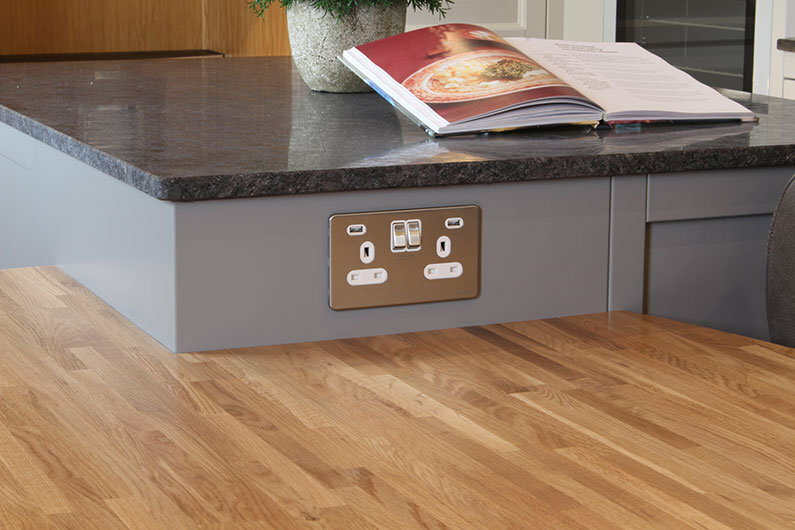 You’ve got to be able to plug in your appliances and turn the lights on your narrow boat on and off. There are ratings to consider when specifying sockets and switches for your narrowboat, so work out your electrical loads and rate the units accordingly. Sockets & Switches… What Do You Need To Know? With a correctly installed and protected AC system, it is perfectly acceptable practise to use sockets and switches designed for common household use on a narrowboat. Electrical factors, on-line suppliers and DIY stores are a good source. The only restriction is your imagination. With reference to 12VDC, it is important to make sure that the fitting is correctly rated for the amp you intend to push through it. For example, many accessory sockets are rated a 10amps but a bit of searching around will find units rated up to 15amps. It’s worth noting here that if you intend dimming LED lighting on your narrow boat, make sure the LED’s are compatible and the dimmer is suitable. If you are buying a new fully fitted narrowboat from a boat builder, check first how many sockets are included within their standard specification. 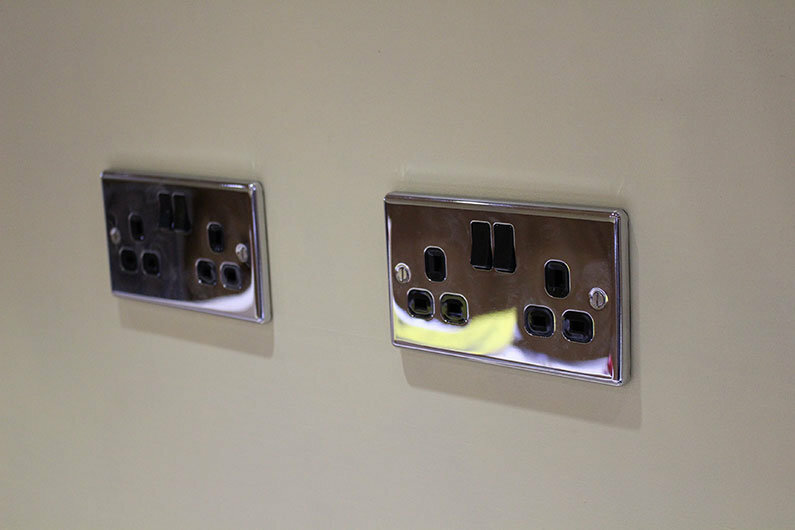 The likelihood is that you will want to have more sockets installed. Asking your canal boat builder to do this when he does the first fix of electrics will ensure the wiring is concealed. 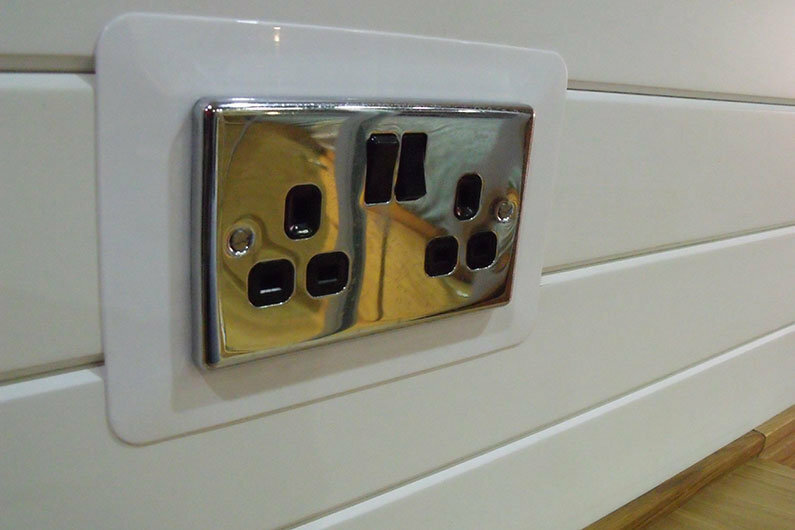 If you are re-fitting out a narrowboat or purchasing a basic sailaway canal boat, a well designed plan will ensure you know where to place your electrical sockets ready for the first fix. Using our DIY Design Plans will assist you in making the right choices …. our advice would be to go with more sockets than you think you need as you would not want to go back to retro fit them post completion!